This Access Statement does not contain personal opinions as to our suitability for those with access needs. Instead we aim to accurately describe the facilities and services on offer to all our visitors. We are members of the Visitor Attraction Quality Assurance Scheme (VAQAS) and look forward to welcoming you. Many people with additional needs or who rely on carers visit us on a regular basis and our staff have experience in offering help to visitors to learn about our animals. The attraction is largely outdoors with good, gravel paths. Support to access our facilities are available on request (some restrictions may apply at busy times) and pre-booking is recommended to ensure appropriate support is available. Wheelchairs can be borrowed from the Main Entrance - prior booking is advisable. And space for private disabled changing can also be made available by prior arrangement ahead of your visit. There is no hoist. Please contact us before your visit if you would like to know more details about our facilities or the support we can offer. Please contact us for details in larger print. If you have any queries or complaints, comments or suggestions, or require any assistance, please phone 01509 852525, email [email protected], visit www.manorfarm.info or write to Manor Farm & Woodlands Castle Hill, East Leake, Nr Loughborough, Leicestershire LE12 6LU. On arrival, the main car park is at ground level – it is gravel, with over-flow parking on grass and disabled spaces on Tarmac. Disabled spaces are intended for blue badge holders and are available on a first come, first served basis. Floodlights cover the main car parking areas. The main entrance is adjacent to the disabled parking. The ticket area is indoors, at ground level with step-free access. Site maps, directions and activity programmes are available from this area. Also at the main entrance are public toilets, a bistro and gift shop, both at ground level with step-free access. Details of opening times and scheduled activities can be found on our website. Visitors receive a print-out of the activity schedule for that day, as well as a leaflet including a map of the park. Other signage is positioned around Manor Farm Park & Woodlands to help navigate around the attraction. The Main Animal Barn is under cover with a concrete floor and is mostly level. Activities take place as per schedule published online for that day. Some activities take part just outside the Main Animal Barn, in an outdoor area with gravel underfoot which is mostly level. The donkey paddocks themselves are laid to lawn and mostly level. It is possible to view all activity taking place in the Donkey Paddock above a waist-height fence on a well-maintained gravel path which is mostly level. There is ramped access into the Animal Chat Room suitable for pushchairs and wheelchairs. Small animals are in indoor cages and compounds for viewing. Stroking is available at scheduled times or by special request. The approach to Hoots Hollows is down a short, steep gravel path - assistance can be requested. All birds are in aviaries and the area is accessible by wheelchair. The Indoor Play Barn is accessed by a well-maintained gravel path which is mostly level. The play equipment inside is at a variety of levels and supervision of children is required at all times. The play equipment is suitable for children up to approximately eight years of age, with an area designated for under fours. Different ages and various abilities can be supported by prior arrangement. We have two outdoor play areas suitable for children up to approximately eight years of age. The Burrows, is just outside the main entrance with step-free access through an automatic sliding door. The Fort Adventure Playground is approximately a 15 minute walk from the entrance along well-maintained gravel paths. The path gently slopes down towards the playground, meaning there is an incline on the return back to the main entrance - assistance can be provided if required. On some days, at specific times, Ernie the Milk Float offers rides down to The Fort Adventure Playground. Unfortunately Ernie is not accessible by wheelchair. Access to the nature trail is mostly via gravel paths or grassed areas. Access for wheelchairs is limited in parts, especially after periods of inclement weather. Supported access can be arranged by prior booking. Around the trail are interpretation boards aimed to attract young children. These are in large text and have pictorial representation where applicable. Antlers, located in main entrance. Level access. Furniture is moveable and high chairs are available. Serves meals and hot and cold drinks. Food is ordered at the counter – whilst some food and drink can be collected at the counter, other food and hot drinks will be brought to the table. Some special dietary items are available; please ensure that we are aware of any special requirements prior to ordering your food. Laughing Donkey Café, located in the Indoor Play Barn. Stepped access – ramp can be arranged. Furniture is moveable and high chairs are available. Serves light snacks, hot and cold drinks. Food is ordered at the counter – whilst some food and drink can be collected at the counter, other food and hot drinks will be brought to the table. Some special dietary items are available; please ensure that we are aware of any special requirements prior to ordering your food. Fort Kiosk - open seasonally for ice creams, sandwiches and cold drinks. Stepped access to wooden decking. Seating on picnic benches. Fort Adventure Playground (indoor and outdoor seating available). Grassed area accessed by a combination of gravel and grassed paths. The Burrows Playground (indoor and outdoor seating available). Grassed area accessed through main entrance or via gravel path. Hand washing facilities are located in all toilets, outside the Main Animal Barn, inside the Animal Chat Room and down by the Lake. Hand sanitisers are located at Hoots Hollows. In the main entrance, including unisex disabled facilities and baby changing. Lights need to be switched on. 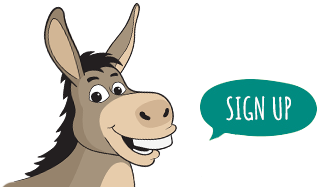 Close to the Laughing Donkey Café, including unisex disabled facilities & baby changing. Lights need to be switched on. Close to the Animal Chat Room – unfortunately there are no disabled facilities nor baby changing here. Lights need to be switched on. Only Assistance Dogs are allowed entry to Manor Farm Park & Woodlands, but please notify our staff on arrival. All types of assistance dogs are welcome at Manor Farm Park & Woodlands but they must be kept on a lead or harnessed at all times. Unfortunately assistance dogs cannot be taken into the Indoor Play Barn. Please be aware that we do not tolerate any pets being left in cars and will contact the RSPCA or police if we have any welfare concerns. We operate a strict no smoking policy within Manor Farm Park & Woodlands. This includes vaping. Anyone wishing to smoke or vape should do so in the main car park, away from the main entrance building. In case of emergency, evacuation procedures and marshals are in place and all senior staff carry mobile phones. Ernie the Milk Float is in operation at set times published on our website. The route runs between the Indoor Play Barn and the Fort Adventure Playground. Only trained members of staff can drive Ernie and will adhere to our strict 5mph policy. If it is necessary to operate another vehicle in the park during the day, it will be escorted by a member of staff. Our vehicles will always give way to pedestrians. We are situated some 0.5 miles outside the village of East Leake, approximately four miles from Loughborough, eleven miles from Nottingham and eight miles from East Midlands Parkway. Our Postcode is LE12 6LU. Comprehensive directions are available on our website. There is no direct bus service – the closest bus stop is approximately half a mile away (junction of Gotham Road and Main Street) accessed by footpaths.